REMOVED FROM A 2007 AUDI Q7 QUATTRO 3.0 TDi. TT MK1 8N3 1.8T QUATTRO. COLOUR: MORO BLUE PEARL. DOOR, COUPE, FACELIFT. All our used parts are in good condition and are tested prior to dispatch. BODY TYPE SPEED MANUAL CODE FMT. Cash on collection. FOR YEARS: 2009, 2010, 2011, 2012, 2013, 2014, 2015 (2009). Audi Breakers. All engines & gearboxes will usually be drained of all fluids for carriage. Seat Breakers. Gearboxes must be filled with new oil upon installation. FOR SALE IS A USED BUT GOOD USABLE CONDITION GENUINE MFA COMPUTER SWITCH. PART NUMBER IS 443 927 159. Part Number: 4D0919721B. Model:A8 D2 Quattro. Position on Vehicle:Centre Front. Open Mon-Sat. South Hams Car Spares. We are breaking 100's of different vehicles, with many parts on the shelf. Model:A8 D2 Quattro. 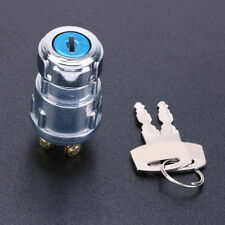 1 x Master Window switch Sunroof. 2 or 4 way switch:4 Sunroof. Position on Vehicle:Driver Left Front. Year of donor vehicle:2001 (1994-2004). We are breaking 100's of different vehicles, with many parts on the shelf. (Fit for Audi A6 / A6 Quattro 2005-2008. Fit for Audi Q7 2007-2009. Fit for Audi A8 Quattro 2004-2010. Fit for Audi RS6 2010. 2) Perfect match for the original car. 2) Color may vary slightly due to the color setting of each individual monitor. WIPER INDICATOR STALKS. AUDI TT QUATTRO 1.8 LITRE PETROL 2000 MODEL. AJ SPARES is a large independent Vehicle Dismantlers. PAINT CODE - GREEN. PART NUMBER - N/A. AJ SPARES LTD. GEARBOX CODE - 1J0199177. Includes:Front Rear Fogs, Esp, hazard warning, Sunroof Cover, Parking sensors. Model:A8 D2 Quattro. 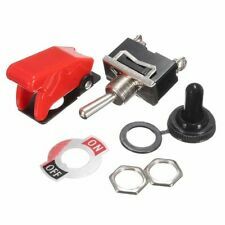 2 or 4 way switch:n/a - multi switch bank. 1 x Multi switch bank. We are breaking 100's of different vehicles, with many parts on the shelf. Removed from a 2001 AUDI TT QUATTRO (225 BHP) 1781cc. Taken From The Above Vehicle Currently In For Dismantling. FOR YEARS: 1998, 1999, 2000, 2001, 2002, 2003, 2004, 2005, 2006 (2001). We Do Not Cover Any Labour Costs Involved With Fitting Or Removal Of Any Parts. Part Number: 40095985501C. 1 x Window switch. 2 or 4 way switch:Single. Position on Vehicle:Passenger Left Front. Year of donor vehicle:2001 (1994-2004). South Hams Car Spares. We are breaking 100's of different vehicles, with many parts on the shelf. Part Number: 40095985501C. Position on Vehicle:Drivers right rear. 1 x Window switch. 2 or 4 way switch:Single. Year of donor vehicle:2001 (1994-2004). We are breaking 100's of different vehicles, with many parts on the shelf. Model:A8 D2 Quattro. 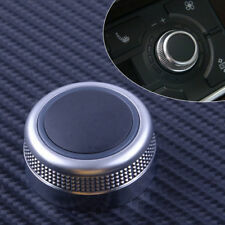 1 x Power Fold Wing mirror switch. Position on Vehicle:front. Part Number: 4A0959565B. We are breaking 100's of different vehicles, with many parts on the shelf. Plugs & Pins: N/A. Part Number: 40095985501C. 1 x Window switch. 2 or 4 way switch:Single. Position on Vehicle:Passenger Left Rear. Year of donor vehicle:2001 (1994-2004). South Hams Car Spares. We are breaking 100's of different vehicles, with many parts on the shelf. PART NUMBER: 8L4962109A. OPENING HOURS Cash on collection is also available. PART NUMBER: 8H0941509. MODEL:S4 QUATTRO 4.2. BODY TYPE: 2 DOOR CONVERTIBLE. MAKE :AUDI. on them in the form of. Compare part nr to find out it is the right part for your car. ASK BEFORE YOU BUY IF YOU ARE NOT SURE IT IS THE RIGHT ITEM. Audi Breakers. FOR YEARS: 2001, 2002, 2003, 2004, 2005, 2006, 2007, 2008, 2009 (2001). All A/C Compressors must have the A/C system flushed to remove any contaminants and the proper oils and Freon to be used. Cash on collection is also available. PART NUMBER:4B0959855. OPENING HOURS. HERE I HAVE A 2007 AUDI TT MK2 3.2 V 6 DSG QUATTRO BREAKING FOR PARTS YOU ARE BUYING THE NS DOOR WINDOW MOTOR COMPLETE AS PICTURED. Audi Breakers. FOR YEARS: 2001, 2002, 2003, 2004, 2005 (2001). All A/C Compressors must have the A/C system flushed to remove any contaminants and the proper oils and Freon to be used. Also, the A/C system needs a new filter, dryer and orifice tube when installed. Part:Electric Window Switch NSR Passenger Left. Model:A6 2.8 V6 Quattro APR Engine code. All our parts are security marked before being dispatched. We will do our best to resolve any problems you may have. Audi Breakers. FOR YEARS: 1998, 1999, 2000, 2001, 2002, 2003, 2004, 2005 (2001). All A/C Compressors must have the A/C system flushed to remove any contaminants and the proper oils and Freon to be used. PART NUMBER: 3B0945511C. 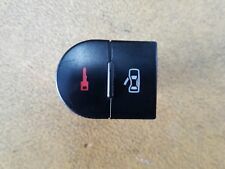 AUDI A6 C6 QUATTRO 3.2 FSI '06 BRAKE LIGHT SWITCH. MODEL: A6 S LINE FSI QUATTRO A. MAKE :AUDI. COLOUR: BRILLIANT BLACK PAINT CODE LY9B. on them in the form of. Compare part nr to find out it is the right part for your car. PART NUMBER: 4F2927227. MODEL: A6 S LINE FSI QUATTRO A. MAKE :AUDI. COLOUR: BRILLIANT BLACK PAINT CODE LY9B. Compare part nr to find out it is the right part for your car. on them in the form of. to your vehicle and may fit other models. 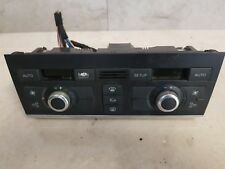 HERE I HAVE A 2007 AUDI TT MK2 3.2 V 6 DSG QUATTRO BREAKING FOR PARTS YOU ARE BUYING THE HEATER BOX COMPLETE AS PICTURED. 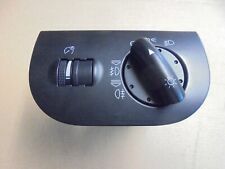 Used genuine Audi GPS control panel switches in full working condition. 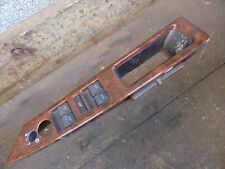 The switches came off an Audi A6 and are in great condition as you can see from the photos complete with the blank end cap. These are quite rare to get hold of particularly in unmarked condition. The rotating dial can sometimes pop out but stays well enough in place and does work as it should. 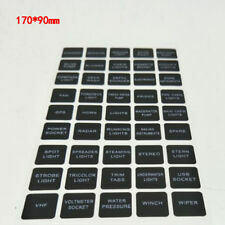 It may fit other models but please check before buying. Thanks for looking. TO FIT AN AUDI UR QUATTRO TURBO COUPE. Audi ACOQ Audi Coupe quattro 1985 1986 1987 1988. Audi A80Q Audi 80/90/Avant quattro 1983 1984 1985 1986 1987. Audi ACO Audi Coupe 1981 1982 1983 1984 1985 1986 1987 1988. Body panels and other vehicle body parts are used and will have normal tear and wear. We have 1000s of parts on the shelves from old Saxos till latest Bentleys. Professional, friendly staff are always happy to help you. 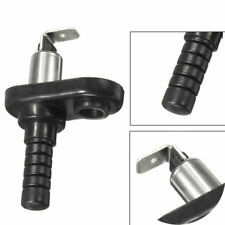 New Genuine Audi Quattro sport S1 wiper stalk. Wiper stalk and check button, Dark Brown 01Z. General and MOT repairs. For Audi Quattro sport series 1 1980-1983. Our roots are firmly in the water cooled VW, retro cars, Hot rods and grass roots motorsport world. OEM Numbers: 443919082 / 443 919 082. AUDI Audi 100 quattro 1989-1991. AUDI Audi 100/Avant quattro 1985-1988 ; >> 44-J-200 099. AUDI Audi 100/Avant quattro 1988-1991 ; 44-J-200 100 >>; >> 44-M-050 000. NS is Nearside, Left, or the passenger side in the UK. AUDI TT MK2 2007-2014 REAR FOG LIGHT. OS is offside, right, or drivers side in the UK. All Parts have been checked and are in good working order. Donor Car: 2002 Audi A6 C5 Avant 2500cc Quattro. The New and Used Audi Parts Specialist for all Audi models worldwide. Audi Part Number: unknown. It may fit others. REMOVE FROM AUDI TT QUATTRO 1.8 PETROL,2001 YEAR,225 BHP,6 SPEED MANUAL GEARBOX FHB,ENGINE CODE BAM,PAINT CODE LZ9V BLACK. MY AIM IS TO MAKE SURE YOU ARE ALWAYS 100% HAPPY! Audi Breakers. FOR YEARS: 2001, 2002, 2003, 2004 (2002). All engines & gearboxes will usually be drained of all fluids for carriage. All A/C Compressors must have the A/C system flushed to remove any contaminants and the proper oils and Freon to be used. Audi Breakers. FOR YEARS: 2001, 2002, 2003, 2004 (2002). All A/C Compressors must have the A/C system flushed to remove any contaminants and the proper oils and Freon to be used. Also, the A/C system needs a new filter, dryer and orifice tube when installed. Part number: 5Q7885682A. Donor vehicle- AUDI S3 quattro 2015 LHD. Year - 2015. RHDrefers to part from right hand drive vehicle (found in UK, Australia and others). Body type - Convertible. We also have more parts from this vehicle. Febi Hazard Warning Flasher Audi A6 4B quattro RS6 S6 4B OE Quality 37783 - Free Delivery from Simply Car Parts - Brand New Febi Bilstein part - 1 Years Manufacturers Warranty. AUDI A4 B8 A5 8T Q5 8R. REMOVED FROM AUDI A5 8T S LINE 2014 2.0 TDI CGL AUTOMATIC GEARBOX PCG IN GREY LZ7L. ALL OF OUR PARTS ARE SECURITY MARKED TO SAVE ANY MISUNDERSTANDING. 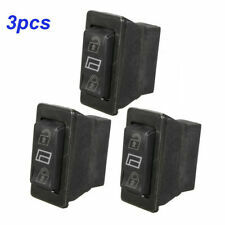 PART NUMBER 8T0 919 611 K.
Manufacturer Part Number 4B0941509K ; 4B0941509D ; 4B0941509C. 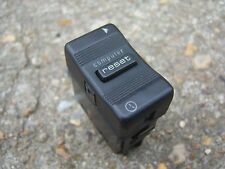 (10 pin flasher relay included as part of the Hazard Switch). A6 Quattro. Parts HAZARD LIGHT SWITCH. Interchange Part Number 4B0 941 509K ; 4B0 941 509D ; 4B0 941 509C.